Hedingham Castle is not just one place. Romantic, beautiful, ancient, historic and wild, it is somewhere to set your imagination free. 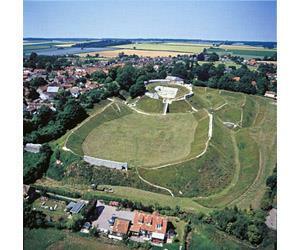 Visit the substantial remains of a strong and important motte and bailey castle dating from the 11th - 13th centuries, with surrounding walls, ditches and earthworks. A 15thC Edward IV gatehouse, Mayor's parlour and robing room with 15thC stone, brick and timber screens. The town's insignia is also on display on special open days. Circular Fort 1808 ten guns. Largest AM being restored by a voluntary group. Coalhouse Fort, in its attractive riverside park setting, has links with centuries of coastal defence. A fine example of Victorian military architecture, the fort was operational throughout two World Wars. The impressive remains of a mighty fortress constructed over seven centuries ago; overlooking the Essex Marshes, the barbican and two towers remain standing today. The former site of the Doomsday castle erected by Sweyn of Essex. Mountfitchet Castle Experience is a multi attraction incorporating Mountfitchet Castle & Norman Village of 1066, House on the Hill Toy Museum and Dinosaur Encounters. Discover one of England’s most complete and unusual keeps at this fascinating attraction. 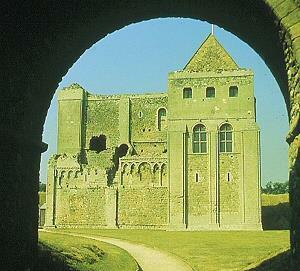 The polygonal tower keep stands beside the pretty town and former port which Henry II also developed here. 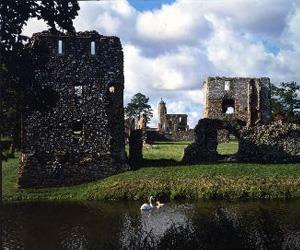 Visit the extensive ruins of Baconsthorpe Castle, a moated and fortified 15th century manor house, that are a testament to the rise and fall of a prominent Norfolk family, the Heydons. The remains of a Norman manor house which became a castle with earthworks, set by the side of a village. Castle Rising Castle is a fine example of a Norman castle. The rectangular keep, one of the largest, was built around 1140 by William D'Albini.